Beautifully and painstakingly inlayed, this Peruvian instrument has been designed to reduce the sound of snare wires when playing bass tones. 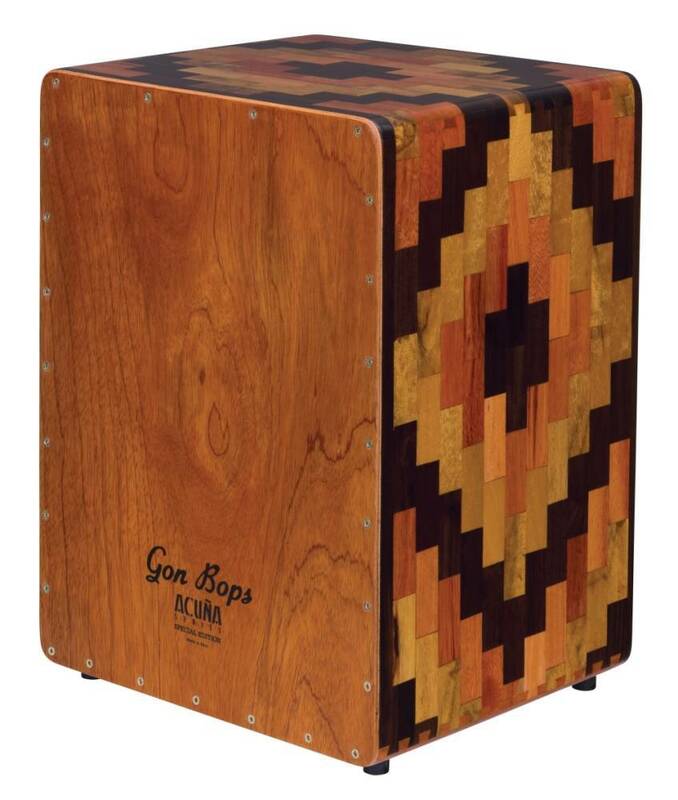 This allows players to get the best sonic characteristics of both a traditional Cajon and a Flamenco Cajon. Includes free bag. I have own multiple Cajons in the past...and this one by far the best for sound and being simply rugged tuff! As a deep bottom end tone and a snappy snare sound that sound simply amazing acoustic ... also have not heard any sound man complain as of yet! Simply amazing Cajon with great value / price point. Once I looked at it and, more importantly, tried it, I knew I would not settle for less. Visually, it's a work of art that you can be proud to display. Playing it is a joy. I purchased this out of interest, not profession, and it is easy for me to sound good on it. Yes you pay more than for other brands, but you really get what you pay for, and in the end, it's really not that much more money when you think of it being the only one you'll need. Every time I look at it I'm happy I went for it. The bass stands out soo much compared to other cajons in which you hear the snare wires all over the instrument. Snare is crisp and clean, the wood bends well, quiet when you need it, loud when you need it. Im so happy with this drum, miles ahead of any other cajon I've played and there's has been many. Deep base snapping snare and smooth middle tones. A work of art to say the least. Well done GonBops well done. This cajon is of the highest quality. Beautiful sound. I couldn't be happier with it! I was in the market for a cajon after Christmas and I tried every one in the store. I was only planning on spending half of what this cost but as soon as I heard the boom of the clean bass sound I had to have it. Such an amazing range of sound worth every penny. there is something to be said about learning on the best possible sounding instrument.even the worst playing, sounds professional. you will not be 0discouraged. this is the one.....enjoy. This is probably the most amazing sounding cajons on the market, in my opinion. I purchased mine prior to the price increase, so I can't give it a 10 for value, since it was a BIG increase. It would be nice if the snares were adjustable, however the bass separation is second to none. Gon Bops and Alex Acuna went above and beyond to create this work of art, with quality far exceeding anything I have seen with LP, Tycoon, and especially Meinl, who are three of the other major brands that you can find often. I've tried lots of cajons and this one blew them all away, I couldn't leave the store without it. 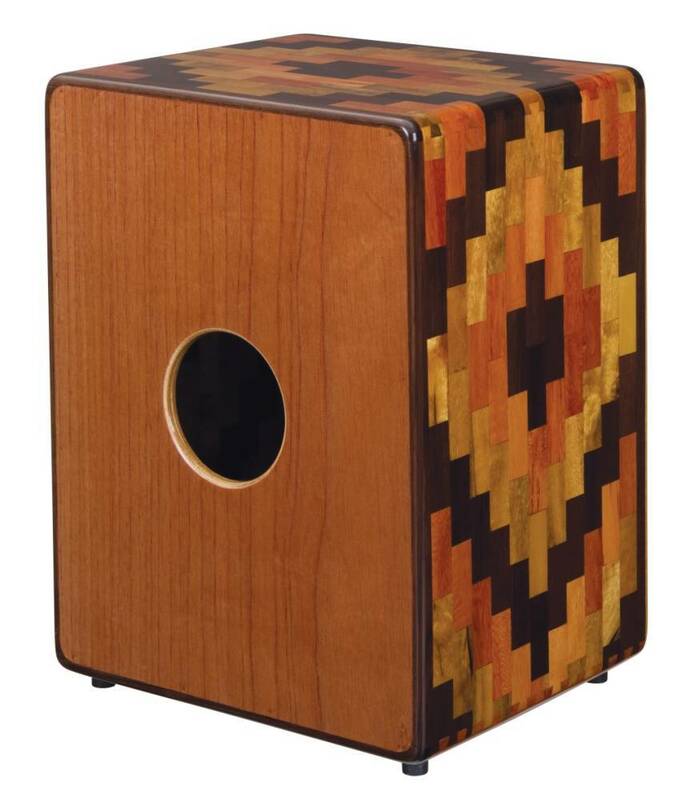 Other cajons sound like wooden boxes, but this one makes the leap to quality musical instrument. The design is gorgeous and the quality and construction is top notch. 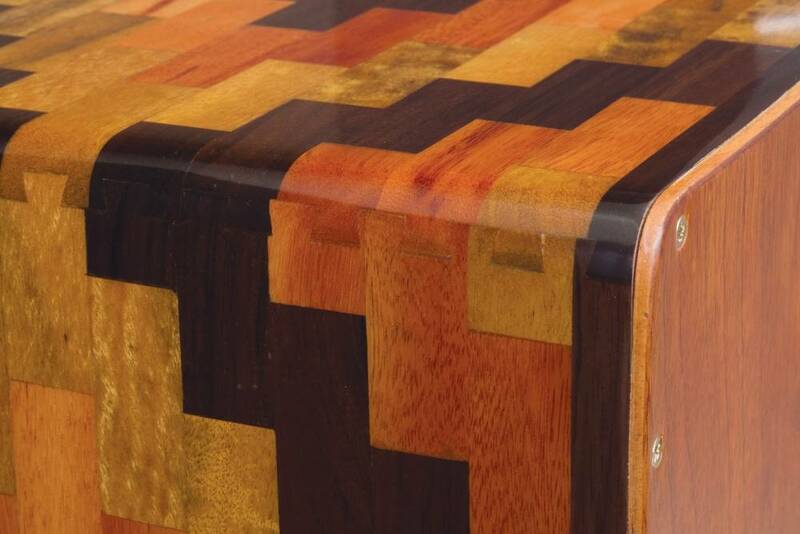 The joints are dovetailed rather than glued and the drum is made in Alex Acuna's homeland of Peru. The wires inside the drum are placed diagonally across the corners rather than up and down across the front as in other cajons. This feature allows for a really clean bass tone and way more bass than any other cajon I've heard. The snare tones are crisp and snappy. You can get many sounds out of this drum with some experimentation. You'll spend a little more on this cajon but it's very much worth it. If you're looking at cajons I can't recommend this model enough.